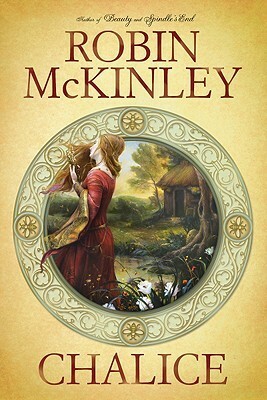 Robin McKinley is one of my favorite authors. She's done several fairy tale retellings, and some fantasy. Her fantasy worlds tend to be richly detailed and her characters flawed but quick to learn. As a caveat: Based on the reviews I've read concerning content, I have not read her adult novels. Both of these would work for teens on up. Content-wise, they would be fine for older middle grade readers, if they were particularly interested. 4 stars: A stand-alone fantasy with intriguing characters and a well-developed world. "Mirasol is Chalice: a job, or calling rather, which means she listens to the land and must bind it to its new master. The trouble is that the new Master was nearly finished with his training as a Fire Priest, which means he is not altogether human anymore. Whether or not he is capable of overseeing the land and winning the hearts of the people remains to be seen. Before she was chosen to be Chalice, she was a beekeeper, and since the previous Master and Chalice both died under unfortunate circumstances, she has no mentor and no training in her new responsibilities. If she can't figure it out, her beloved land and its people may be overtaken by outside rule, which would mean disaster for all concerned. Enjoyable, with characters I cared about." It stood up to a re-reading. It had been long enough that I remembered the main story but not the details. Perfect! If you don't like bees, you had best stay away from this book. Mirasol was a beekeeper and her bees, plus their honey, played a large role in the book. I am fascinated with bees and beekeeping, so I really liked that part of it, but it may not be for everyone. I appreciated the way Mirasol's relationship with the new Master grew slowly, over time. McKinley managed to make even a red-eyed smoke man become an appealing leading man. That's impressive! The ending was fitting, I thought, and redemptive. Lots of bees there too. Not my favorite of her work overall, but a pleasant world to get lost in for a couple of hours. p.s. 4 gold stars for the cover! 3.5 stars: Many elements I quite enjoyed in this one, some I didn't like at all. Overall, I still like Beauty better. I would venture to guess that most authors do not revisit the same story, once they have written about it. Robin McKinley's Beauty: A Retelling of the Beauty and the Beast ranks up there as one of my favorite fairy tale retellings. In fact, I think the animated Disney movie was largely based on her retelling. So it's intriguing to me that 20 years later, she wrote the story again. Not a sequel, or any relation to the first, other than the fairy tale at the base. In this version of the tale, Beauty and her sisters must forge a new life for themselves in a tiny village far away from the family catastrophe (their father's bankruptcy and ensuing fallout.) They learn skills they never knew they had, and even come to thrive under the constraints of hard work and small spaces. Beauty finds great joy in bringing the cottage's garden back to life and is thrilled when the mysterious thorny bush surround the front door actually bursts into glorious bloom. There is not a hedge witch in the area--hasn't been for quite some time, in fact--so her way with plants sets neighbors to talking. Though Beauty herself is certain it can't be magic--just a knack for growing things, is all. When it comes about that she must go to the Beast's castle, what she finds is that he needs a gardener as much as anything. His roses, inside an enormous greenhouse, are dying. There is really no life of any kind to be found at the castle or around the grounds. As Beauty works to save the roses, her gentle influence welcomes all sorts of critters to make their homes on the grounds. Slowly, she is bringing everything back to life--including the Beast. But will it be enough? Beauty's family relationships. Though they started out cold and distant, Beauty and her sisters really pulled together during their family crisis (and beyond) to become great friends and confidantes. Her father's gradual recovery was well-written and hopeful. I appreciated the symbolism of Beauty's talent for bringing life, and how that carried over to her time at the Beast's castle. Her animal visitors at the castle were delightful and brought a very down-to-earth element to the fantastical happenings. The descriptions of the gardening and tending the roses. I am a gardener, after all. I can see why many reviewers felt like it dragged, though. 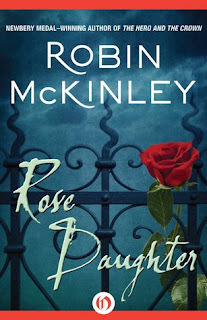 I think McKinley must really love roses, because the detail and care she took describing this aspect of the story was much more pronounced than in her first version. If you don't care so much about gardening, you might be bored stiff during those parts. There was quite a lot of ambiguity surrounding the physical reality of the castle and its grounds. I understood that it was magic, and therefore things wouldn't have to remain in the same place, etc., but where it was charming in Beauty, somehow it came across as confusing and pointless in this one. The unicorns and their poop. Okay, that was just kind of weird. Beauty's nightmares and final journey to find the Beast. It was all so murky. Why would she have these nightmares from the time she was little? Why must that final journey be so long and drawn out?! Why couldn't hedge witch what's-her-name do a little more to help out? So there you go. Worth your time if Beauty and the Beast is your favorite fairy tale and you want another perspective on it. Or if you really love roses. 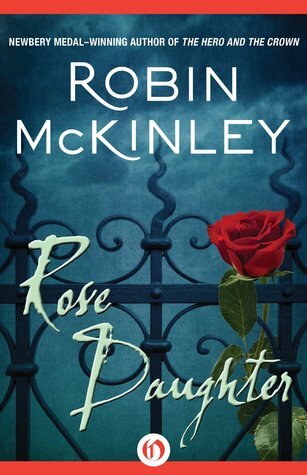 Do you have a favorite Robin McKinley novel? Do tell!